January 26, 2013 – MAW: Flawless defeated Darrell Jackson, Lance Star, Lathan Clemens and Owen Travers in a 5-way match to win the vacant No Limits title. February 16, 2013 – MWA: Owen Travers defeated Lengo Lee. March 17, 2013 – XICW: Josh Movado defeated Lance Star and Owen Travers in a handicap match. March 23, 2013 – 1st Annual Michiana Pro Wrestling Grand Prix Festival: Caden Ames defeated DeAngelo Steele, Just Amazing, Lance Storie and Owen Travers in a 5-way match. April 14, 2013 – XICW: Owen Travers defeated Dash Damone. May 4, 2013 – NWA SEW: Owen Travers defeated CB Kool. May 5, 2013 – XICW: Owen Travers defeated Action Jackson in a dark match. May 20, 2013 – XICW: The Pain Killers (Donnie Hollows and Jacob Hollows) defeated Mike Marvel and Owen Travers. June 7, 2013 – Creep Benefit Show: Kid Hybrid defeated Chaz Montana and Owen Travers in a 3-way match. June 22, 2013 – NWA SEW: Owen Travers defeated Victor Cross. July 21, 2013 – XICW: The JP Investments (Mark Gjoka and Paul Bowser) defeated Dash Damone and Owen Travers. August 11, 2013 – XICW: Vinnie Scarboni defeated Owen Travers. September 28, 2013 – XICW: Josh Movado defeated Alexander The Great and Mike Marvel and Owen Travers in a gauntlet match. November 10, 2013 – MWA: Owen Travers defeated Eddie Venom to retain the heavyweight title. December 6, 2013 – PWK: Caden Ames defeated Lathan Clemons and Owen Travers in a 3-way match. December 16, 2013 – NWA CIW: Bobo Brazil Jr., D-Ray 3000 and Will Stud defeated Farooq Abdullah, Mustafa Muhammad and Owen Travers. January 19, 2014 – NWA CIW: D-Ray 3000 and William Stud defeated Danny Shea and Owen Travers. March 15, 2014 – MCW: Alex Matthews defeated Owen Travers. March 28, 2014 – PWASD: Owen Travers defeated Shane Sabre. May 4, 2014 – PWASD: David Torres and El Toro defeated Darrell Jackson and Owen Travers. May 16, 2014 – MPWA: Owen Travers defeated Troy Alexander. June 8, 2014 – XICW: Shawn Tyler defeated Owen Travers. June 21, 2014 – MPWA: James Alexander and Troy defeated Chris Moore and Owen Travers. July 12, 2014 – MCWA: Lance Star and Owen Travers defeated Aaron TI and Jay Abrhams. July 13, 2014 – XICW: Owen Travers defeated Austin Manix. July 26, 2014 – SSW: Sean Tyler defeated Owen Travers. August 3, 2014 – XICW: Owen Travers defeated Austin Manix by disqualification. August 15, 2014 – MCWA: Lance Star and Owen Travers defeated Caleb Stills and Orlando Christopher. August 23, 2014 – TWA: High Voltage (Keith Calhoun and Scotty Fraytown) defeated Lance Star and Owen Travers to retain the UIWA tag team titles. September 14, 2014 – MWA: Owen Travers defeated N8 Mattson to retain the heavyweight title. September 14, 2014 – XICW: Austin Manix defeated Owen Travers in a no holds barred match. September 19, 2014 – PWASD: Owen Travers defeated Ace Evans. October 10, 2014 – PWASD: Chase Matthews defeated Owen Travers to retain the cruisercore title. October 11, 2014 – ROH Champions Vs. All Stars: Tadarius Thomas defeated Owen Travers. October 19, 2014 – XICW: Owen Travers defeated Danny Shay by disqualification. October 23, 2014 – IWA Mid-South 18th Anniversary Show: BJ Whitmer defeated Owen Travers. December 6, 2014 – Brawl For Skull Benefit Show: Malcolm Monroe III defeated Owen Travers. November 8, 2014 – MWA: Donovan Danhausen defeated Owen Travers to win the Michigan title. November 9, 2014 – XICW: Owen Travers defeated Josh Movado. November 14, 2014 – PWASD: Chase Matthews defeated John Wayne Murdoch and Owen Travers in a 3-way elimination match to retain the cruisercore title. November 20, 2014 – IWA Mid-South: Owen Travers defeated Randi West. December 5, 2014 – PPW: Gynesis (Chris Moore and Owen Travers) defeated Danny Shay and Kris Corvis. December 7, 2014 – PWK: Noah Walker defeated Owen Travers. December 12, 2014 – PWASD: Chase Matthews defeated Owen Travers to retain the cruisercore title. December 14, 2014 – XICW: Josh Movado and Owen Travers defeated Austin Manix and Danny Shay. January 2, 2015 – PWASD: Owen Travers & The Hy-Stars (Atlas Hytower and Lance Star) defeated Officer Rod Street’s Crew (Chris Moore, Deputy Dave and Frank Isaac Anderson). January 8, 2015 – IWA Mid-South: Breyer Wellington defeated Owen Travers. January 17, 2015 – XICW: Owen Travers defeated Austin Manix to qualify for the Super X Cup. Hakim Zane defeated Caleb Stills, Chris Sabin and Owen Travers in a 4-way match to win the vacant light heavyweight title. January 23, 2015 – PWASD: Chase Matthews defeated Owen Travers in a last man standing match to retain the cruisercore title. February 5, 2015 – IWA Mid-South Tryout Show: Owen Travers defeated Dominique Fabiano. Team IOU (Kerry Awful & Nick Iggy), John Wayne Murdoch, Owen Travers, Reed Bentley and Trik Davis defeated The Elements Of Wrestling 2.0 (Josh Crow & Kaden Sade), Mikey McFinnegan, Nick Doepp, Zakk Sawyers and Zodiak. February 21, 2015 – XICW: Orlando Christopher defeated Owen Travers to retain the Xtreme Intense title. March 1, 2015 – XICW: Owen Travers defeated Austin Manix. March 17, 2015 – CPW: Grizzly House Jones defeated Owen Travers. March 21, 2015 – XICW: Hakim Zane defeated Owen Travers to retain the light heavyweight title. March 28, 2015 – VIP: Evan Craig defeated Owen Travers. April 5, 2015 – PWASD: Owen Travers defeated Mikey McFinnegan. April 12, 2015 – MWA: Owen Travers defeated Josh Movado to retain the heavyweight title. 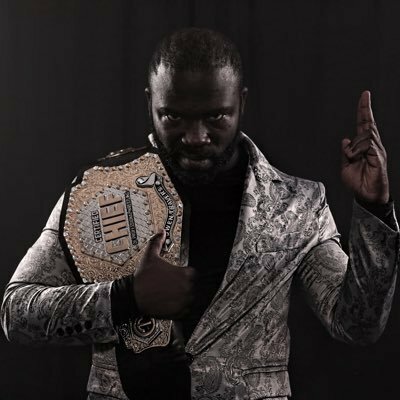 April 12, 2015 – XICW: Owen Travers defeated Hakim Zane in a best 2 out of 3 falls match to win the light heavyweight title. April 18, 2015 – TWA: Levi Blue defeated Owen Travers, Rob Frost and Troy Alexander in a 4-way match to win the vacant Tri-County title. April 25, 2015 – MCWA: Jack Verville and Owen Travers defeated Lathan Clemons and Mikey Smalls & Mr. Nifty and Muscles Marinara in a 3-way tag team match. Mark Gjoka defeated Owen Travers to retain the heavyweight title. April 25, 2015 – PWK: Owen Travers defeated Caden Ames. May 1, 2015 – PWASD: Owen Travers defeated Mikey McFinnegan. May 3, 2015 – PWASD: N8 Mattson defeated Owen Travers. May 17, 2015 – IWA Mid-South: Dewey Barnes defeated Mikey McFinnegan and Owen Travers in a 3-way match. May 22, 2015 – SPW: Lightning Bolt Johnson defeated Alexander S. Kirk, Dakota Prodigy, Matt O’Hare and Owen Travers in a 5-way match. May 24, 2015 – Wolverine Pro Wrestling: Grizzly House Jones and Sam Farmer defeated Mike Marvel and Owen Travers. May 29, 2015 – PWASD: Owen Travers defeated Jack Thriller by disqualification. May 31, 2015 – XICW: Owen Travers defeated Malcolm Monroe III to retain the light heavyweight title. June 6, 2015 – EMERGE 6: Owen Travers defeated Malcolm Monroe III. June 7, 2015 – IWA Mid-South: Reed Bentley defeated John Wayne Murdoch and Matt Cage and Owen Travers and Zodiak in a opportunity in a box ladder match. June 13, 2015 – PWASD: Rod Street defeated Owen Travers and Whip O’Doyle in a 3-way elimination match to retain the heavyweight title. June 19, 2015 – PWASD: The Great Akuma defeated Owen Travers to retain the cruisercore title. June 26, 2015 – MCWA: Owen Travers defeated Jack Verville. June 28, 2015 – XICW: Caleb Stills defeated Owen Travers to win the light heavyweight title. July 4, 2015 – PWK: Kevin Storm defeated Kyng Jamal and Owen Travers in a 3-way match to retain the King Online Michiana title. July 12, 2015 – PWK: Caden Ames defeated Lance Storie, Malcolm Monroe III, Nick Cutler, Owen Travers and Steven Drochner in a 6-way match. July 18, 2015 – XICW: Owen Travers defeated Taeler Hendrix in the 1st round. July 22, 2015 – TWA: Ice Age (Rob Frost and Sam Farmer) defeated Malcolm Monroe III and Owen Travers to retain the tag team titles. July 24, 2015 – MCWA: Chris Moore and Owen Travers defeated Frank Isaac Anderson and Mikey Smalls to retain the tag team titles. July 25, 2015 – HLW: Troy Miller defeated Alexander S. Kirk, Eli McFly, Jack Thriller, Nick Cutler and Owen Travers in a 6-way match to win the vacant cruiserweight title. July 26, 2015 – XICW: Jake Something defeated Aaron TI, Gavin Quinn, MK Ultra, Orlando Christopher, Owen Travers and The DBA in a 6-way elimination match to win the Malcolm Monroe Sr. Memorial Cup. August 14, 2015 – WAR: Sless Taylor defeated Owen Travers. August 15, 2015 – PWK: Caden Ames defeated Owen Travers. August 16, 2015 – XICW: Gavin Quinn defeated Caleb Stills and Owen Travers in a 3-way match to retain the light heavyweight title. September 5, 2015 – EMERGE 8: Jeremy Hadley defeated Owen Travers to retain the Outbreak title. September 11, 2015 – ROH Reloaded Tour: Father Time defeated Owen Travers in a dark match. September 13, 2015 – XICW: Gavin Quinn defeated Owen Travers in a looser leaves the promotion match and retains the light heavyweight title. September 18, 2015 – Rockstar Pro: Kyle Maverick defeated Josh Emanuel, Malcolm Monroe III and Owen Travers in a 4-way match. September 25, 2015 – FSW: Willie Mack defeated Owen Travers. September 27, 2015 – BVW: The Night Warriors (Damian Drake and Spyder Warrior) defeated Nick Bugatti and Owen Travers. October 17, 2015 – NOW: Silas Young defeated Owen Travers and Renzo Lavell in a 3-way match. October 25, 2015 – BVW: Owen Travers defeated Adan Reyes and Nick Bugatti in a 3-way match to become #1 contender for the Fighting title. November 15, 2015 – BVW: Jason Muse defeated Owen Travers to retain the Fighting title. January 10, 2016 – BVW: Nick Bugatti defeated Damian Drake and Owen Travers in a 3-way match to become #1 contender for the Fighting title. March 6, 2016 – BVW: Suede Thompson defeated Owen Travers to retain the heavyweight title. April 10, 2016 – Vendetta Pro: Suede Thompson defeated Jason Muse, Owen Travers in a 4-way match to retain the BVW heavyweight title. June 5, 2016 – BVW: Greg Romero defeated Owen Travers in a no disqualification match. June 25, 2016 – AWF: Owen Travers defeated Nick Tendo. July 30, 2016 – AWF: Vega defeated Daniel Sanchise, Douglas Jame, Jakob Austin Young, Owen Travers and Suede Thompson in a 6-way match to retain the State title. July 31, 2016 – BVW: Owen Travers defeated Sheik Khan Abadi. September 17, 2016 – WCWC TV (Taped): Ricky Gibson defeated Owen Travers. September 24, 2016 – WCWC TV (Taped): Owen Travers defeated JJ Garrett. October 22, 2016 – WCWC TV (Taped): Owen Travers defeated Julian Whyt. October 28, 2016 – FLW: Owen Travers defeated Bobby Brennan, Duke Cornell and Joey Anderson in a 4-way match. October 29, 2016 – FLW: Christian Rose defeated Bobby Brennan, Duke Cornell, Joey Anderson, Macen Mayham and Owen Travers in a 6-way ladder match. November 19, 2016 – WCWC TV (Taped): The Bonus Boyz (Clutch and Sugar Brown) defeated Adrian Matthews and Owen Travers to retain the tag team titles. December 3, 2016 – WCWC TV (Taped): Owen Travers defeated Julian Whyt. December 10, 2016 – WCWC TV (Taped): Ethan HD defeated Owen Travers to retain the Legacy title. February 4, 2017 – PWK/RCW/SSW: Kevin Storm and Owen Travers defeated Noah Walker and Theo Storm. March 25, 2017 – AWF: Owen Travers defeated Super Chaos to retain the Unleashed Wrestling title. April 22, 2017 – AWF: Mike Camden defeated Owen Travers to win the Unleashed Wrestling title and retaining the AWF heavyweight title. July 19, 2017 – AWF: Owen Travers defeated Gary Galaxy. September 16, 2017 – CWFAZ: Evan Daniels defeated Owen Travers. September 17, 2017 – AOW: Funny Bone defeated Owen Travers to retain the Dragon Class title. January 13, 2018 – MPW: Owen Travers defeated Daniel Moon. January 27, 2018 – FSW: Damian Drake defeated Owen Travers in a weapons, steel cage match. February 24, 2018 – MPW: Daniel Moon defeated Owen Travers. March 17, 2018 – BOTW: The Midnight Marvels (Damian Drake and Spyder Warrior) defeated Chris Bey and Owen Travers. March 31, 2018 – Ground Zero Phase 3: Owen Travers defeated Jorel Nelson. April 29, 2018 – BVW/GRPW/Vendetta Pro: Bobby Hart defeated Owen Travers. June 2, 2018 – Ground Zero Phase 5: Tyler Bateman defeated Owen Travers. July 27, 2018 – RCW: Kevin Storm defeated Noah Walker, Owen Travers and Shady Chris Xion in a 4-way match to retain the United States title. August 12, 2018 – AOW: Scorpio Sky defeated Nick Bugatti, Owen Travers and Ruben Iglesias in a 4-way match to retain the High Desert title. August 25, 2018 – BOTW: Owen Travers defeated Adam Mayhem. September 9, 2018 – BOTW: Lisa Lace and Owen Travers defeated Alexander G. Bernard and Diablo Azteca. September 29, 2018 – Amped Up/Exile World Collide: Tyler Bateman defeated Owen Travers. October 12, 2018 – FSW: Owen Travers defeated Jody The Wrestler to retain the No Limits title. November 10, 2018 – Ring Warriors on WGN #9 (Taped): Killer Kross defeated Owen Travers. November 24, 2018 – Ring Warriors on WGN #11 (Taped): Shogun Jones defeated Owen Travers. December 1, 2018 – FSW: Owen Travers defeated Ice Williams. December 11, 2018 – WWE SmackDown Live: Shane McMahon and The Miz defeated The Vegas Boys (Nathan Ryan and Owen Travers). December 14, 2018 – FSW: Owen Travers defeated Damien Drake to retain the No Limits title. January 20, 2019 – AOW: Richie Slade defeated Eli Everfly, LTP and Owen Travers in a 4-way match. January 26, 2019 – LAL Episode III: Damian Drake defeated Owen Travers to retain the FSW No Limits title. March 16, 2019 – LAL Episode IV: Owen Travers defeated Sonico. March 23, 2019 – IHW: Covey Christ defeated Owen Travers. If Owen Travers could contact us in providing more info on the match results and title history would be greatly appreciated.